As part of our fully automated train layout (see more at our blog here: siouxnetontrack.wordpress.com), I have started to build a fully automated container warehouse. The warehouse should be able to store a large number of candy containers. 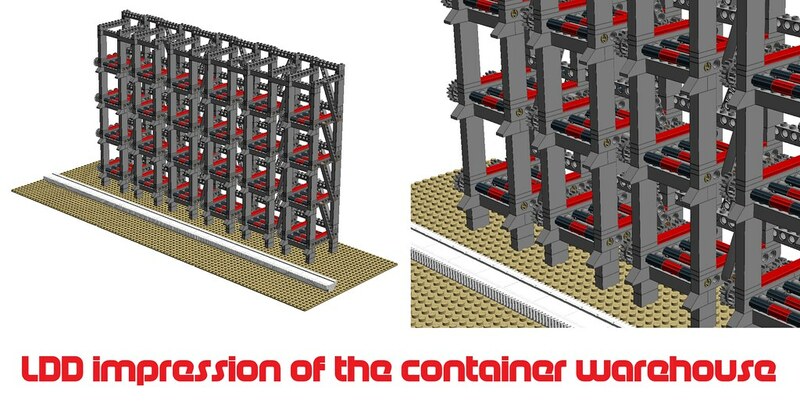 I want to build four rows with shelves to store the containers, served by two robots that can store and retrieve the containers. If you stack the elements 4716 on top of each other, they should be aligned correctly to create one, long worm gear. 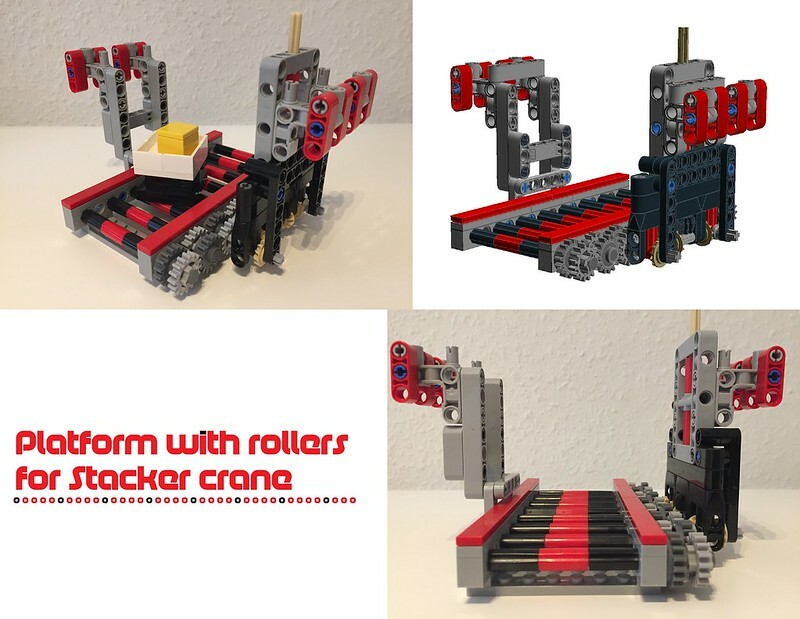 I just finished a first prototype of the stacker crane. The crane has two forks, in order to store or retrieve a container from either the left row or the right row. 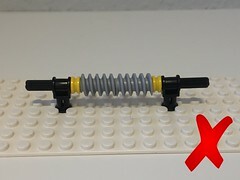 The lift can move up and down, the (horizontal) movement along the row needs to be build. One EV3 M motor is used to move the forks either to the left or to the right. It uses a color sensor to determine the middle position. 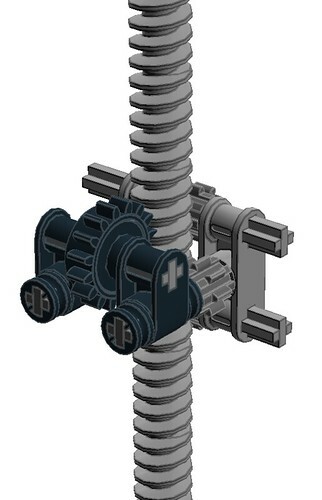 One EV3 L motor is used for the vertical movement. 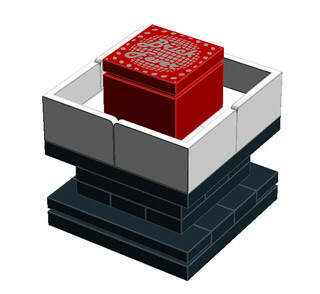 A touch sensor is used to detect the bottom position. Enjoy watching and please let me know what you think. I was still editing (and sometimes I save the article), I think you read a first, unfinished draft ...? I like this. Smooth operation!! Yeah, I figured the 32L axle would flex. 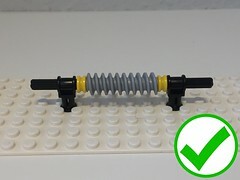 Your solution to make it more stable is very good, I like it because it's compact. However, it may get pulled apart with prolonged use - I hope I'm wrong about this. Cool, I love getting inspiration from these projects! I was not satisfied with the first prototype. First, the containers are kinda wobbly stored on these axles and second, the stacker crane is too massive. So, I build a second prototype. This time with rollers to move the containers. 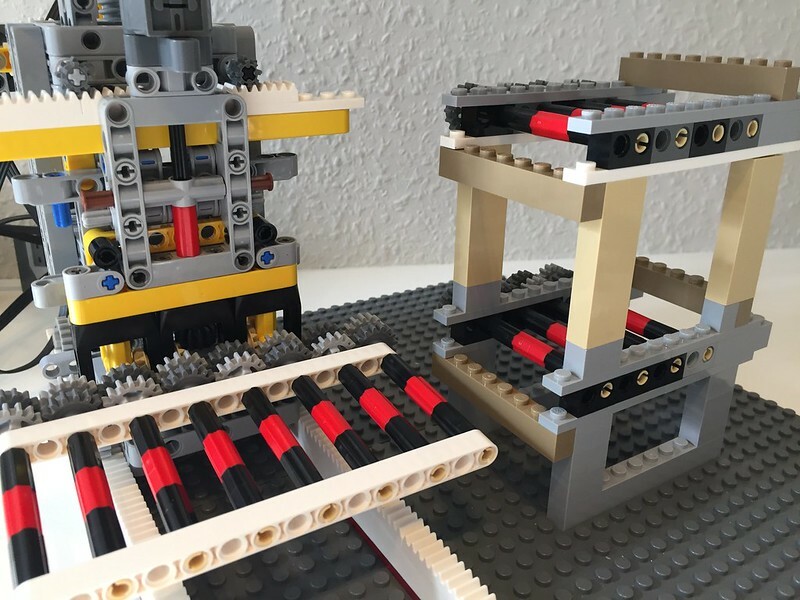 The idea is as follows: the stacker crane uses a platform as shown in the previous picture to move the candy container to the shelve. 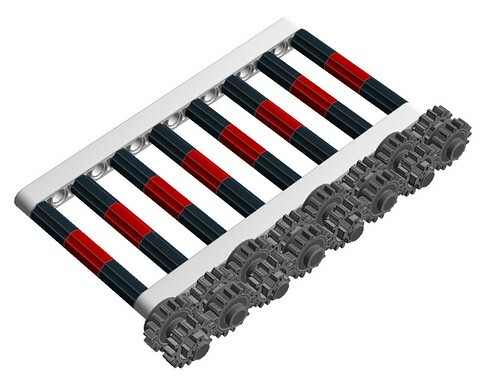 The shelve also contains these rollers, they are driven by the platform (by pushing the gears to the shelve gears). And a video on Youtube shows that the principle works. However, the construction needs to be more firm. So, there is still some work to be done! 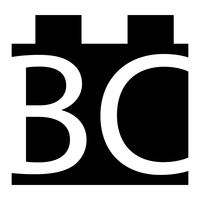 Nice approach, and another of your projects to look forward to. 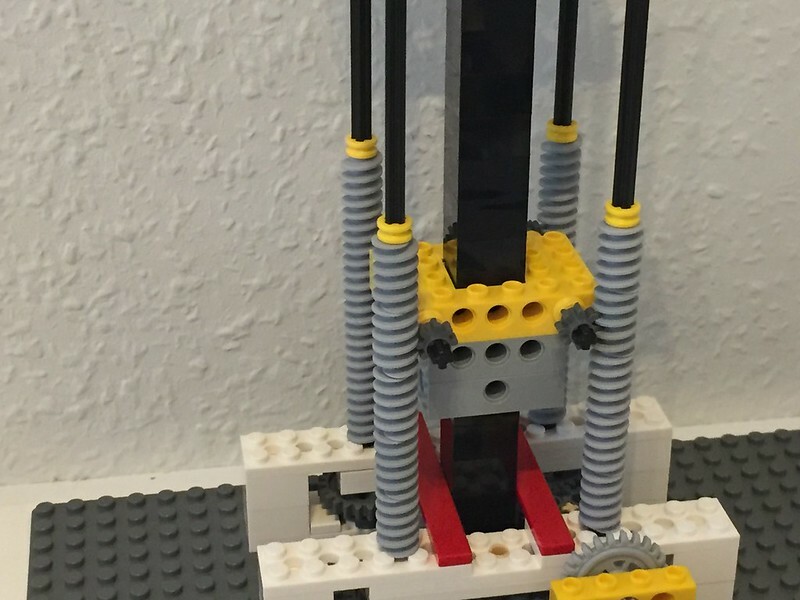 I think you would be able to add another tower in front of the moving platform, whether powered by an identical set of motors etc or just the framework necessary to keep it steady. It might help, or it might add too much friction. 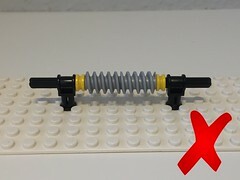 Are you going to set up another layout with the renewed train, 3-axis crane and this once finished? It would be quite a spectacle! Great work. 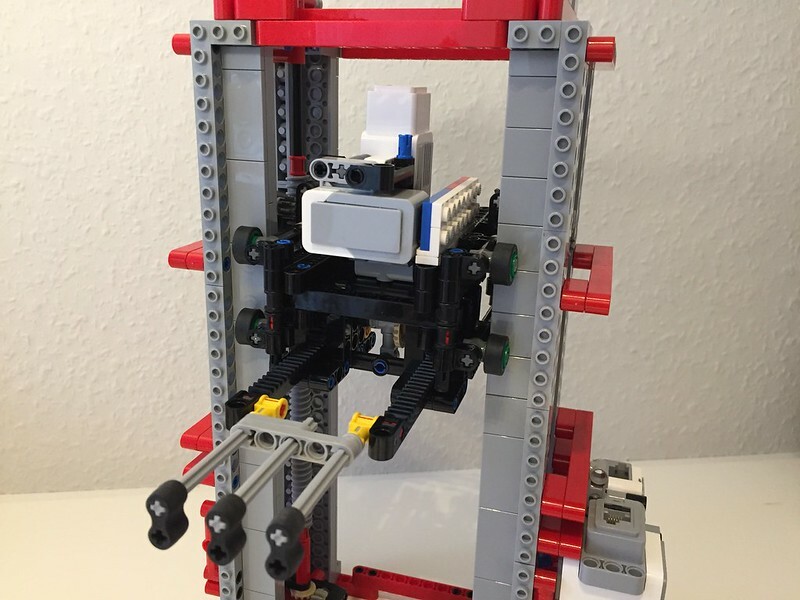 Nice to see another Mindstorms EV3 creation here on the board. Looking forward to your next progress. The warehouse will not be part of the layout that we're going to show at Lego World 2017 in Utrecht (NL). 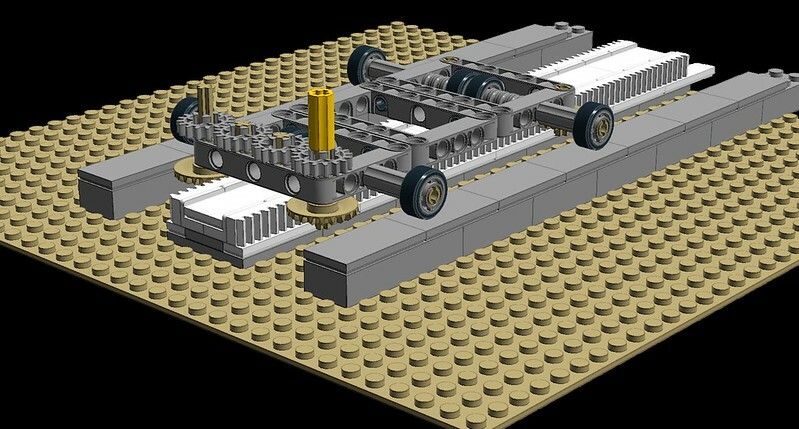 In comparison with last year, the train controlled by an EV3 is new and the delta robot is new (to load the wagons). Furthermore, one of my colleagues has upgraded the candy dispenser so that is kind a new too. I was worried at first that the up/down movement would not be fast and accurate enough but that looks really smooth as well. Thanks GroundskeeperWillie for the nice compliment. Needless to say that I enjoy building this, but these kind of replies are always very stimulating. 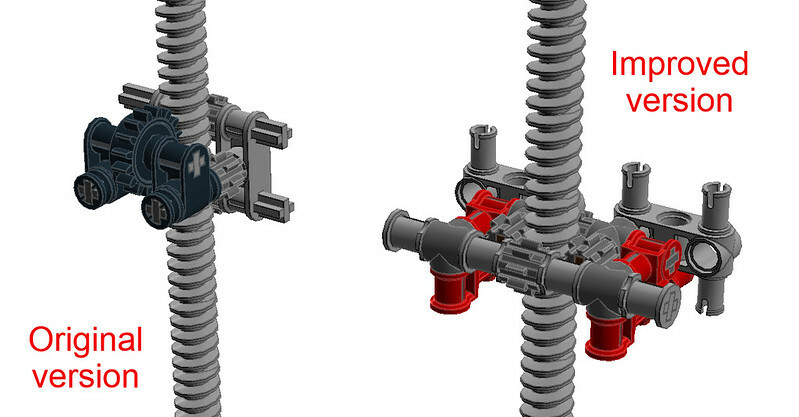 Meanwhile, I have added two LDD sketches of the platform with the rollers. Much better. 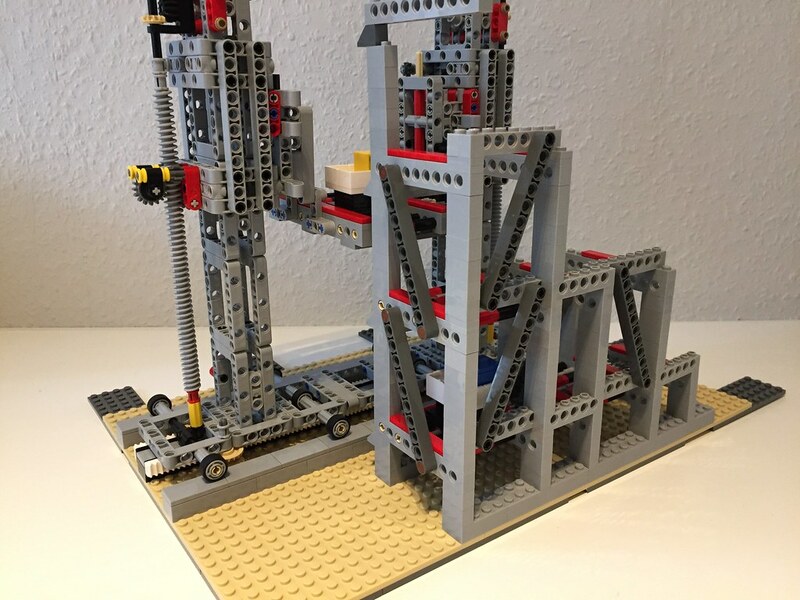 I was wondering if you could achieve the steadying with one 'powered' tower, and one just providing a supporting framework, but this version seems to be better; if you have the parts to power both sides then why not go for it? I'm now looking forward to seeing it in the usual neat, smart colours, and implemented in your next layout! Added some pictures to our Flickr page (click on the picture for teletransporting). 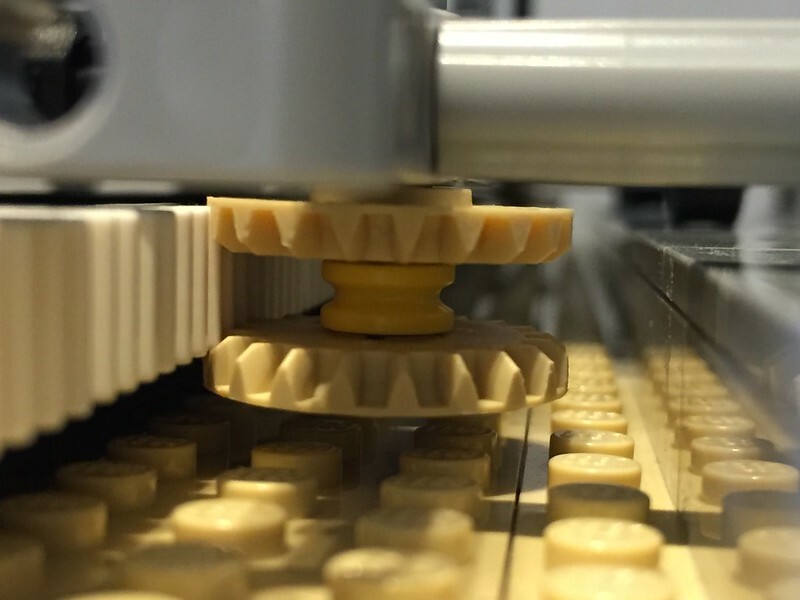 very inspiring, I love your mechanical solutions! Video and photos of the toothed rack rail for the horizontal movement has been uploaded to our Flickr page. With the bricks I have, I have build a part of the warehouse. One of the things I wanted to know: is the stacker crane high enough to reach all four levels? 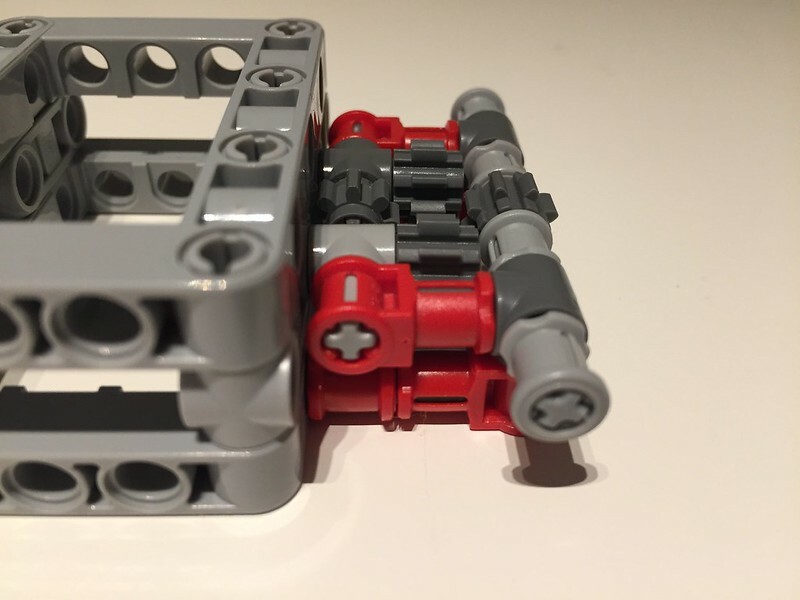 When I could reduce the height of this lead screw to one brick, the height of the 32 axle would be exactly enough to get the platform to all four levels. An extra difficulty was too make sure that one gear should be static, the other three should be able to rotate in order to align with the worm gears. Great! I love waking up and seeing new updates on this project. It seems not to get the attention it needs. Thanks, Aventador2004, for the kind compliment. Looking good! I really can't wait to see this in action.